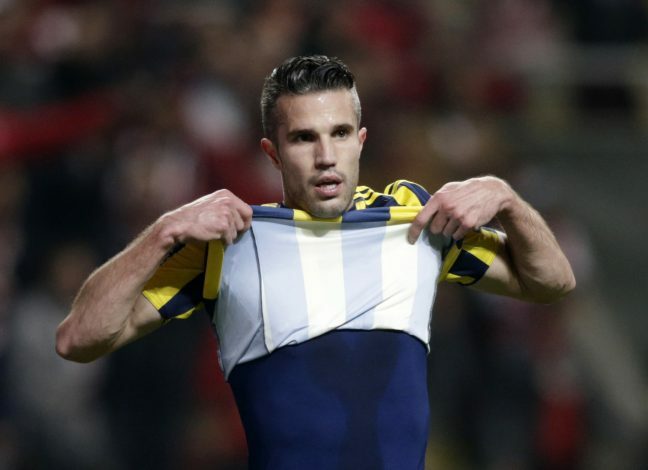 Former Arsenal and Manchester United striker Robin van Persie has revealed that he is still open to the idea of returning to England, but the final decision will be made by his family. Robin van Persie spent 11 years in England, playing for both Arsenal and Manchester United, and scoring a total of 190 goals. The Dutch striker was extremely influential during his time in England. During his time at Arsenal, Van Persie quickly became a fan favorite and led the Gunners to the 2005 FA Cup. He also led Manchester United to the 2013 Premier League title (their last in the past 3 years). His departure from Arsenal to Manchester United in 2012 came as a huge blow to Arsenal fans, who called him a traitor and a cheat. Sir Alex managed to broker a deal with Wenger, and paid £22.5 million for the then 29-year-old. After leaving Manchester United in 2015, he joined Turkish side Fenerbahce, but his latest interview suggests that he could make a surprise return to England. The 33-year-old striker says that he will let his family decide his next destination, as his main aim is to keep them happy. “We’ve moved around in recent years and that suits me very well,” Van Persie is quoted as telling Feyenoord TV. “Over the years I have seen that you cannot really plan your career. You have to take it as it comes. There are all kinds of things in your path and you accept it or not. “That’s how I will approach the last few years. I’m open to everything. I’ve been away from the Netherlands for 13 years and that suits me fine. Whether it’s in England, Turkey or wherever.